My mom goes to a friend’s house for Halloween every year, and each year, I make her a different home decor piece to take over as a gift. This year, she asked for a Halloween themed wreath, but because it was on Halloween, we went with a Fall Wreath instead. Stayed tuned for that tutorial! For now, here is the base so you can make your own wreath for whichever holiday or season. Behind the Scenes… Working away at one of my offices – my local Wawa. Hehe. In case you were wondering what the background is in the photos below. I had my form cover ready in just over two hours. 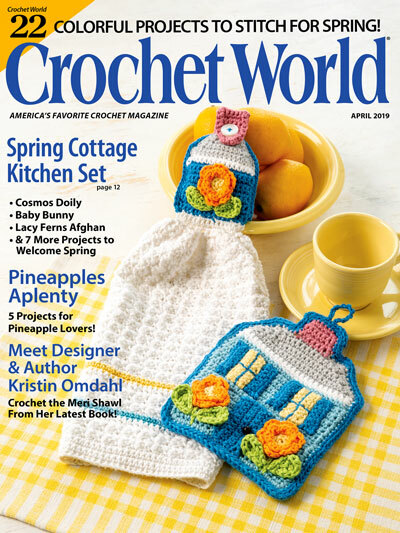 This cover will fit a 12″ foam wreath form. Cut a long tail (I cut 60″ worth) for sewing. Weave in beginning tail, then re-thread needle with ending tail. Wrap the piece around the form, line up the stitches, and sew the two layers together. 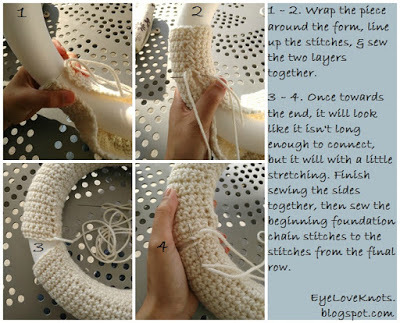 Once towards the end, it will look like it isn’t long enough to connect, but it will with a little stretching. Finish sewing the sides together, then sew the beginning foundation chain stitches to the stitches from the final row. Weave in your tail, and your wreath form cover is complete! Please feel free to make and sell your own Wreaths made using this Basic 12″ Wreath Form Cover, but please DO NOT claim this pattern as your own nor should you sell my pattern, and DO NOT re-publish my photos as your own. DO NOT copy and paste my pattern anywhere, link to it instead. What kind of wreath will you make with yours? With so many size, yarn type and color options, I would love to see them! 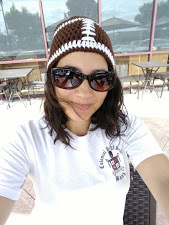 Please share your photos on my EyeLoveKnots Facebook page, or join the EyeLoveKnots Crafting Community to share your creations, and see what other’s are up to! 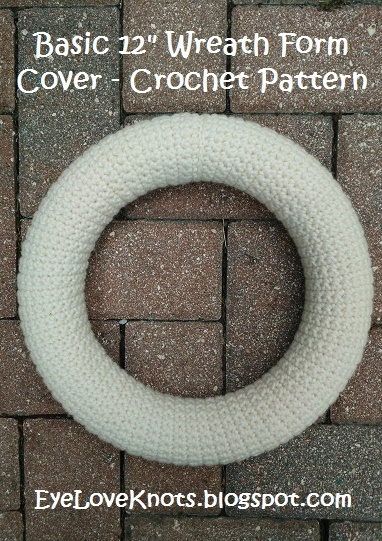 Don’t Crochet but Interested in Purchasing a Finished Crocheted Wreath? 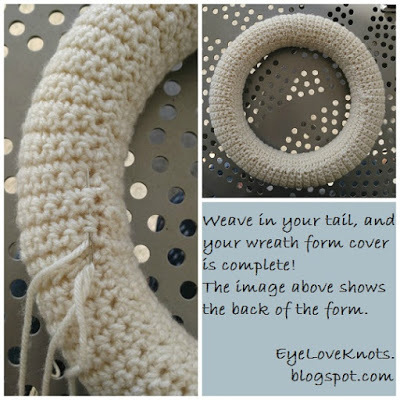 or EyeLoveKnots Craftsy – Basic 12 Wreath Form Cover. That is really great! I would never have thought of doing a wreath. 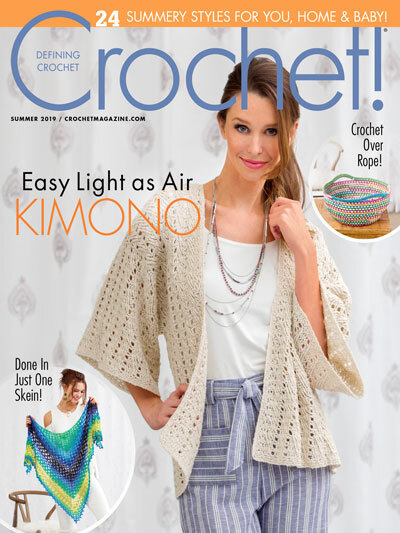 thank you for the pattern! How long in inches is the completed piece before it is stitched onto the wreath? 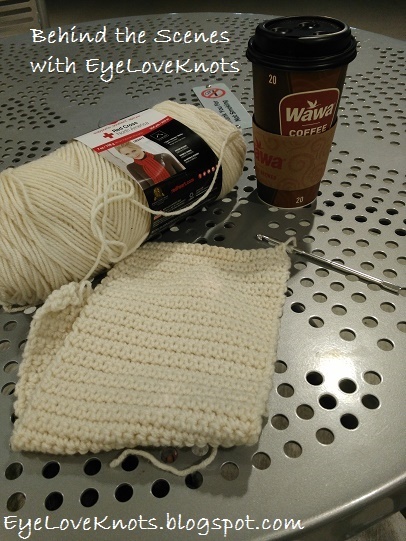 I’m worried I’ll lose count of the rows so then I could just measure the length at the end. I don’t have the measurements written down, but you could use the gauge as a guide. I might also suggest some stitch markers. Thanks for the reply! I figured it out to be approx 37″, just in case anyone else has the same question.